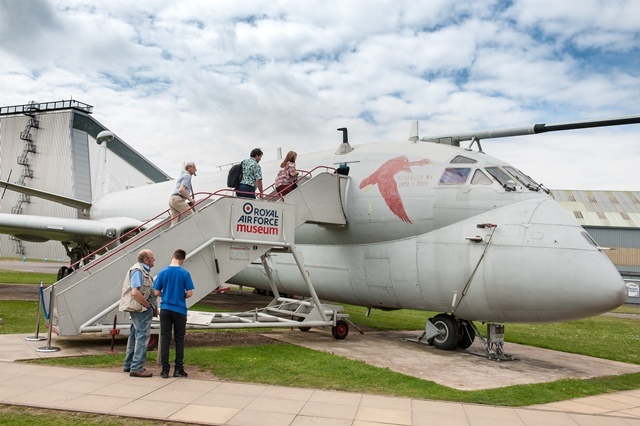 Returning in 2019, step on board the Nimrod XV249 and learn about its intelligence gathering role in the Royal Air Force. You will gain an insight into the operational history of the aircraft from it's time as Maritime Reconnaissance through to it's conversion into a Signals Intelligence gathering aircraft as well as hear about the crews on board and get to see some of its sophisticated surveillance equipment. As one of only 4 Nimrod R1's in existence, you will gain a rare insight into the RAF's intelligence capabilities. Nimrod Tours cost £5.00 per person. Tours last 15 minutes (max 6 people per tour) and morning time slots can be pre-booked in advance to guarantee availability. Afternoon Tours may be available on the day on a first come first served basis. 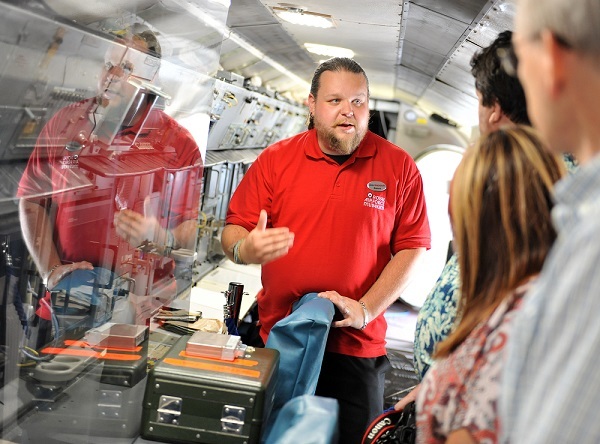 Please note: All children on Nimrod Tours need to buy a ticket and be accompanied by an adult. Nimrod Tours are not recommended for children under the age of 8. Please be aware all tours are subject to availability.